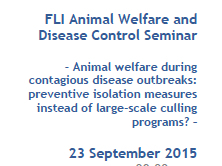 Animal welfare during contagious disease outbreaks: Preventive isolation measures instead of large-scale culling programs? Although the spring outbreaks of Highly Pathogen Avian Influenza in Europe and North America are finally behind us, the discussions on what caused these outbreaks and why specific parts of the industry were hit so severely are just beginning. In these discussions, the financial impact for the industry has the highest priority and animal welfare seems to be of secondary importance. It is likely that outbreaks may reappear in the fall months when temperatures begin to drop and wild birds begin to migrate for the winter, causing similar disease issues in coming autumn, jeopardizing the animal welfare rights of poultry again. To minimize the impact on the poultry industry as well as to minimize the risk that animals need to be culled, it’s important to understand how the initial transmission of HPAI takes place and to analyze the several ways the virus could be transmitted amongst farms. All indicators currently point out into the direction that the industry should prioritize on environmental drivers: the connection between outbreaks and wild ducks; wind-mediated transmission; pre-contact probability; on-farm bio security; transmission via rodents etc. A revolutionary new – Neutralizing Risks – strategy would be based on applying new response techniques, based on: culling the animals without human – to – animal contact; integrating detergent application into the culling operations; combining culling & disposal into one activity. 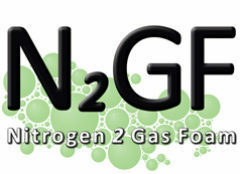 During the FLI Animal Welfare and Disease Control Seminar, organized at September 23, 2015 in Celle, Germany, a group of experts will give their vision on how the possible contribution of each transmission route could be determined and how a revolutionary new response strategy could be developed, based on the principle of neutralizing transmission routes. AVT participates in the seminar, discussing how to implement animal welfare in Standard Operating Procedures during culling of animals. Taking away the source of infection by culling the animals still remains a high priority, as long as it does not violate the other priorities of the strategy. The recently introduced Anoxia technique, based on submerging poultry in high expansion foam filled with 98% nitrogen, safeguards not only animal welfare during response activities; the technique is also suitable to cull small numbers of birds, as well as large locks of poultry, regardless the housing system. In case you need more information or any assistance, please contact me on: 0046 761 731 779 or by mail on harm.kie@gmail.com.